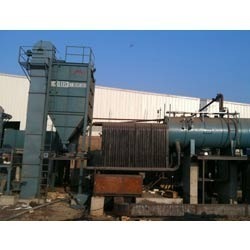 Established in the year 2009. at Ahmedabad (Gujarat, India), we, “Microtech Boilers Private Limited,” are a well-known name engaged in manufacturing and supplying a widespread range of Industrial Boilers and Heaters. 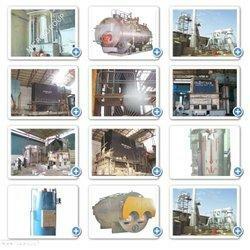 In our extensive product range, we manufacture, supply, Distribute, Export, Wholesale, Retail, Trade. 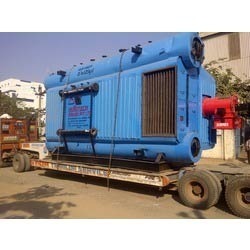 Industrial Boilers, FBC Boilers, Package Boilers, Coil Type Boiler, Thermic Fluid Heaters, Cogeneration Power Plants and Pollution Control Equipment. Contemporary quality inspection facility and ‘state- of- the- art’ infrastructural facilities have made us competent to manufacture and supply products with respect to global standards of quality. Blessed with a passionate team, we a Sole Proprietorship firm have been able to instill uniqueness in all the products, we offer. 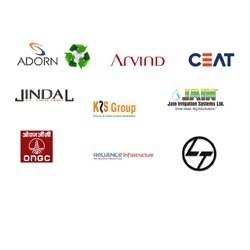 We have been focusing on absolute satisfaction of quality concentric clients like Jain Irrigation Systems, Jindal Group and others from Indian Subcontinent, South/West Africa, East Asia, Middle East, South East Asia and North America. Under the successful leadership of our mentor, Mr. Dipesh L. Ajmera, we have reached to an unquestionable position in the industry. His firm industry knowledge and commitment levels empower us to deliver high quality Industrial Boilers, Package Boilers, Coil Type Boiler, Thermic Fluid Heaters and Pollution Control Equipment at the leading prices in the industry. We are into manufacturing and supplying Industrial Boilers and Heaters of the finest quality for our clients spread all over the country. We produce and deal only in internationally exclusive products of splendid finish and design. Out products are tested for their quality parameters, dependability and robustness at our advanced and progressive production units. As a consequence, we are able to manufacture and export Industrial Boilers, Package Boilers, Coil Type Boiler, Thermic Fluid Heaters and Pollution Control Equipment that are easy to use, efficient and hard-wearing. We are a quality centric company; hence we put extra efforts to provide superior quality Industrial Boilers, Thermic Fluid Heaters and Industrial Pollution Control Equipment. Our quality controllers keep a strict track of the manufacturing process and ensure perfection and efficiency in the production process. Quality tests are conducted at various levels of production starting from the procurement of raw material to the supply of finished products to clients. Moreover, due to our optimum quality and business ethics, we are appreciated by various esteemed clients based in India, South Africa, Sri Lanka, Malaysia, Indonesia, Bangladesh, Dubai, Kenya, Nigeria, Tanzania, and Mauritius. We have a highly enthusiastic and competent team, which works hard to satisfying clients by acquiring comprehensive knowledge of their requirements and needs. They work in perfect coordination to provide our clients a range of Industrial Boilers, Thermic Fluid Heaters and Industrial Pollution Control Equipment products as well as associated services. Moreover, for better production they conduct regular market research which helps us to analyze the specifications demanded by the clients. Our team sets high targets for itself and strives hard to achieve them. Further, our team constantly works on innovation of new products & systems to address different demands of the customers. Our products prove to be at par with the client’s expectations because they are manufactured & designed under the supervision of expert engineers & technicians. Clients play an important role in continuous business growth. Our expert and qualified team members work hard to provide supreme quality Industrial Boilers, Thermic Fluid Heaters and Industrial Pollution Control Equipment and efficient services to our valuable clients. Further, we have a mature, capable and dedicated team to give quality guaranteed services within the given time frame to our clients. For this, we have developed a special delivery strategy to provide the products in the most efficient manner. Our members also put efforts to maintain mutual understanding with our clients.